Fashion has no limit. Try to find your dress in eDressit. These Scoop winter clothing clearance are elegant and feminine. They will give you an allure look with long sleeves, A-line or mermaid silhouette. With modern elements, including shining beads, sequins, lace appliques, these scoop neck evening dresses are really attractive. 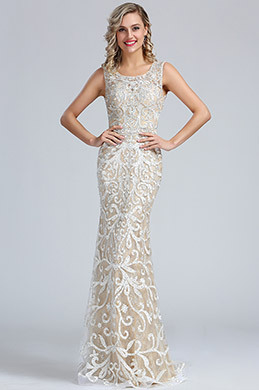 We offer a large category of formal prom dresses to every customer, including mother of the bride dresses, summer holiday dresses, dating dresses, cocktail dresses and also the homecoming/graduation dresses. These dresses feature latest style and exquisite workmanship. Scoop neck evening dresses show your beautiful collar bone. Match some accessories to perfect your look at your party!